Julie Watson, Registered Midwife, Specialist Community Public Health Nurse - Health Visitor. MSc Advanced Professional Practice Child Protection. University Teaching / Senior Fellow HEA / Researcher. Research interests include, maternal health and well-being; perinatal mental health; midwifery; public health (Prevention & promotion) - women, children families; infant outcomes, CYP mental health and well-being. Methodologies include, Cochrane systematic reviews; Qualitative and quantitative; meta-analysis; Collaborated on international maternity project: 'WHO Guideline Development Group/ expert panel/peer reviewer: maternity services/nutrition actions 2016-18'. 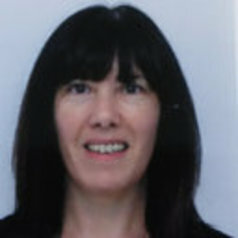 member of University Hull, Maternal & Reproductive Health forum; Active research projects include: 'Evaluation of Perinatal Mental Health service Hull, NL and NEL (2018-19); Research project::'Anaemia in pregnancy' - qualitative & quantitative/ PROM, collaboration with Oxford Brooks and University Hull, Collaborative research project:University Hull & University Edinburgh, Midwives advising mothers alcohol (Team MAMA).